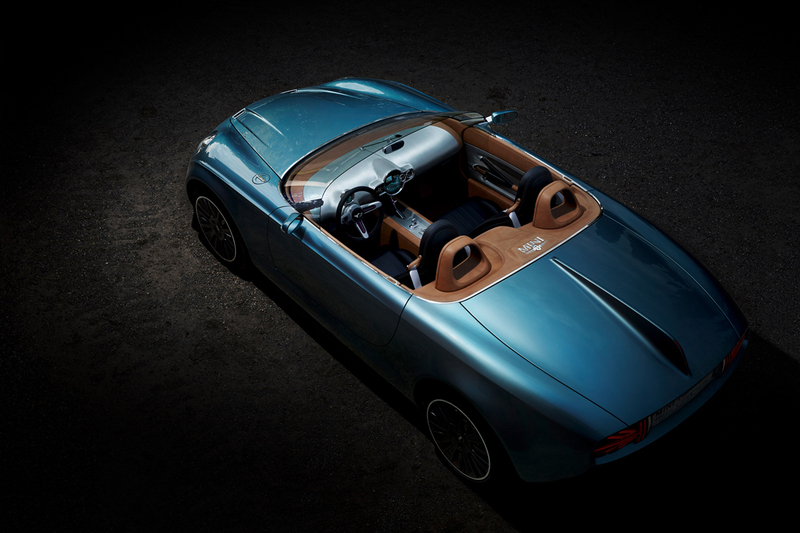 Touring Superleggera of Milan has a tradition of not only "super light" body construction, but also of supremely beautiful creations. 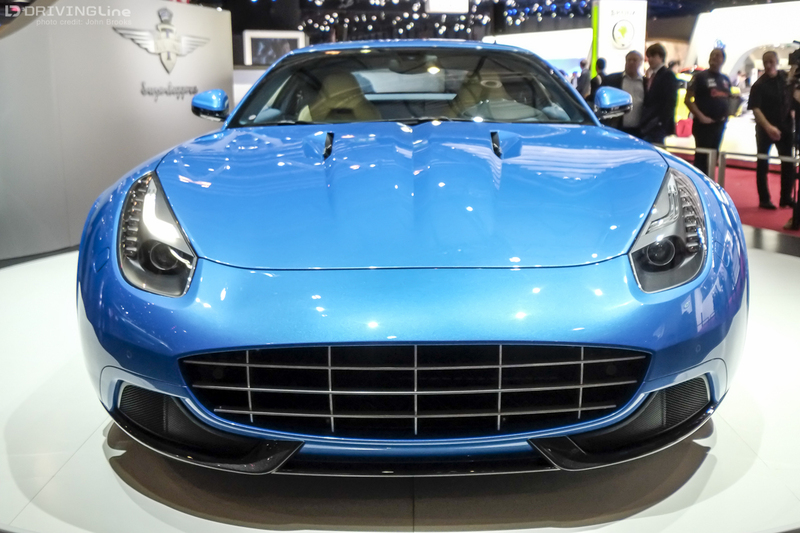 Two such creations appeared at the 2015 Geneva Motor Show and are, at least in my humble opinion, two stars of the show. 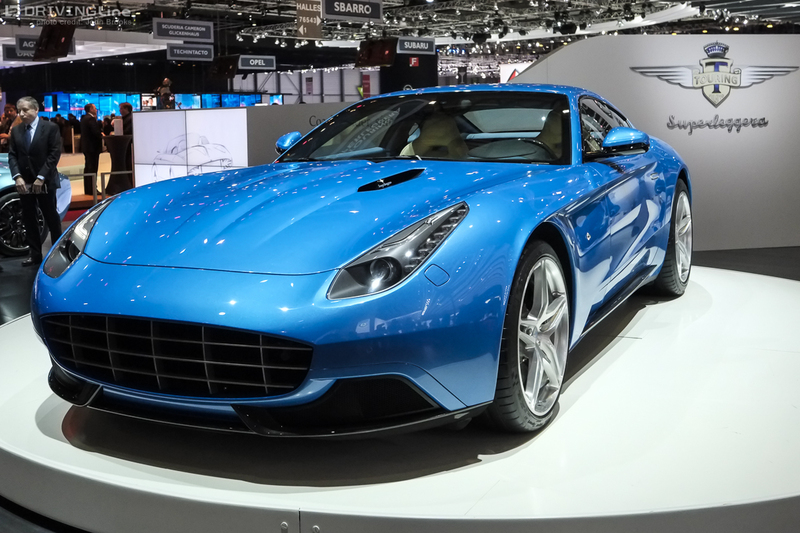 Their Berlinetta Lusso was making its début, based on the Ferrari F12 Berlinetta. For the most part, the original Ferrari styling has been retained - but a revised grill and other detail changes have tried to impart a retro feel, in salute to classic Ferrari's of the past. 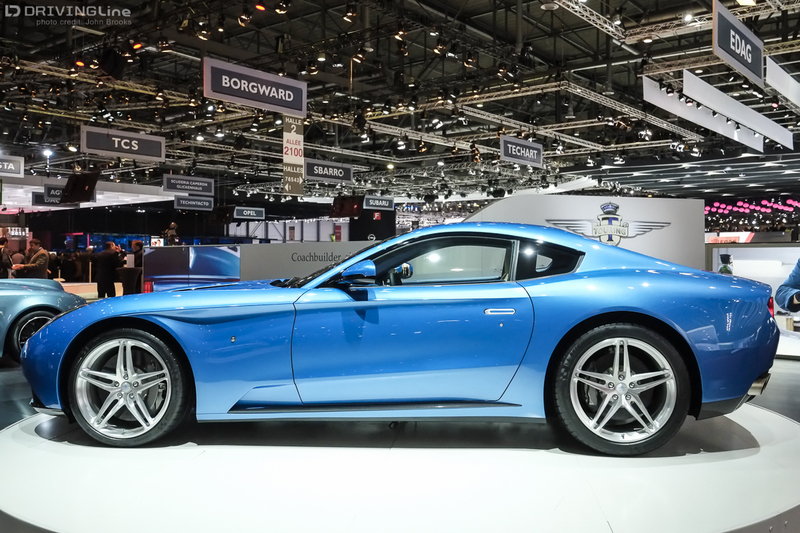 While the mechanicals are all Ferrari, the bodywork is hand built at the Carrozzeria and the subtle changes are generally agreed to have enhanced what is an already handsome car. At present just five examples are scheduled for completion. The price? If you have to ask, you can't afford it. Spotted in the corner of the above photo is Jean Todt, President of the FIA, it pays to have influential friends. 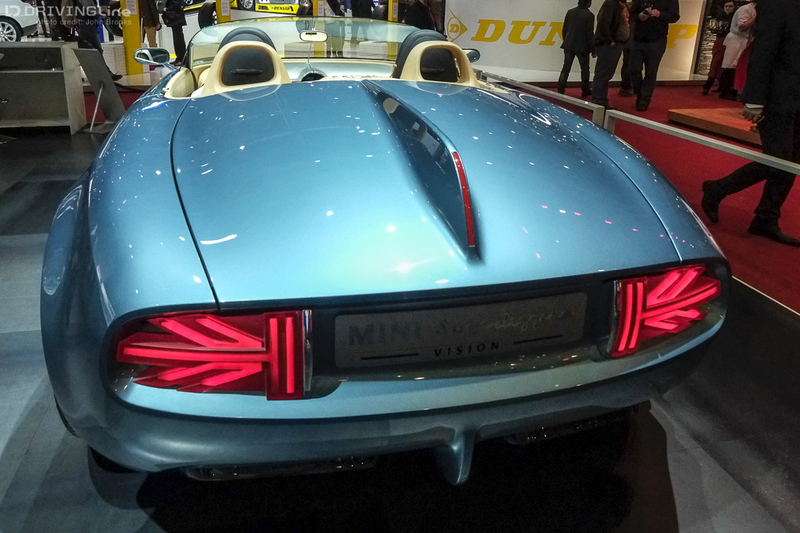 Touring Superleggera also brought along their Vision Concept based on the latest MINI, which was first shown to the world at the 2014 Concorso d'Eleganza at Villa d'Este. 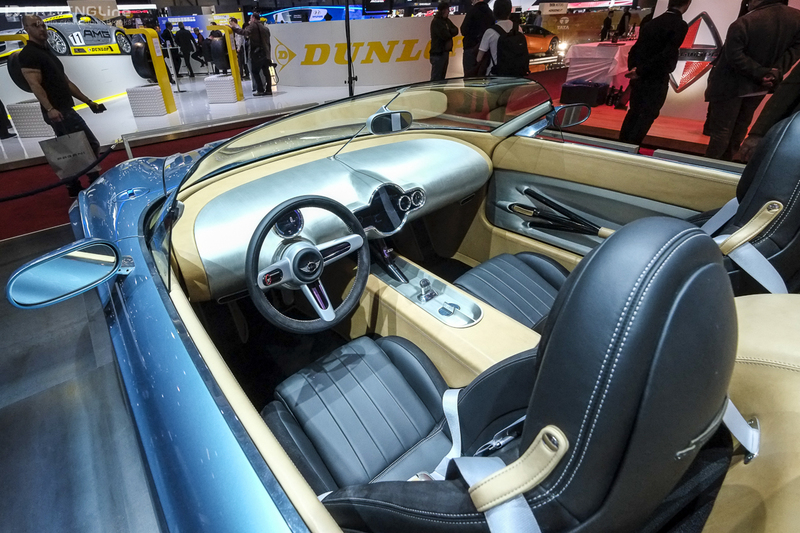 Originally the collaboration was a look by the BMW-owned British MINI to produce a rival for the Mazda MX-5, a blend of traditional Italian style with modern British engineering. In the flesh it is simply wonderful, it would be very popular with the existing customer base, or so I was repeatedly told. The concept is electric powered and if it went into production in some form there would be no doubt some cross-over with the powertrain of the BMW i3. 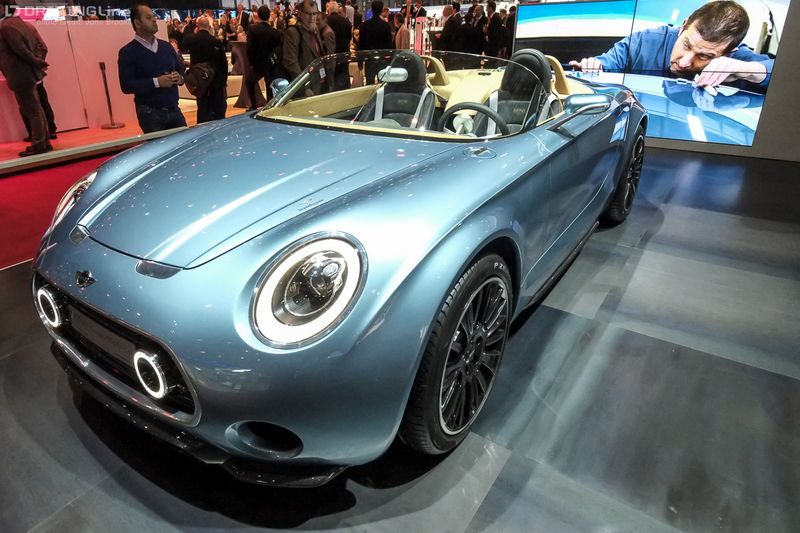 Despite the positive reception to the concept, reports of people going into MINI showrooms and trying order one may be an exaggeration - no public decision has been announced as to whether this Barchetta will hit the assembly lines. Whatever happens, I cannot believe that the brilliant tail light design, based on the Union Jack, will not make it into production somewhere in the next generation of MINIs - it is all too "Swinging 60's Style" for MINI to ignore. Photo Courtesy of MINI. These couple of Supperleggeras have been redesigned to take existing designs to the next level, but how well do they hold up to the most important sports car of the show?